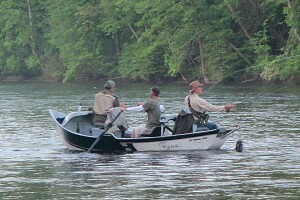 Fly Fishing Madness is an online resource for fly fishing tips, tactics and on-stream experience. 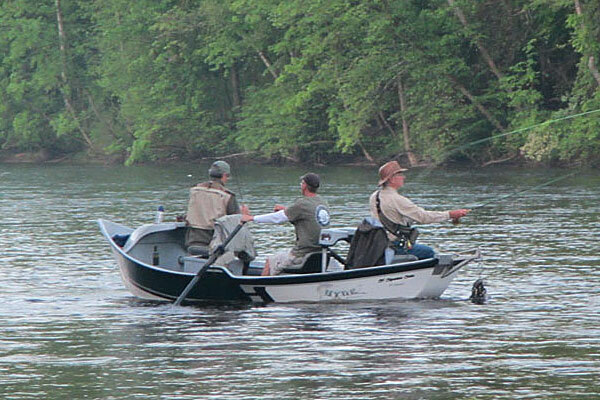 Our one-day seminars provide hands-on experience for beginning and intermediate fly fishing anglers to build confidence and expand their skill sets to take fish consistently. Our mission is to facilitate the growth of the sport through training and education to make your days on the water both productive and enjoyable. George has been fly fishing for over 40-years. From the tributaries of Alaska and the Pacific Northwest to the spring creeks of the New England states, George has roamed trout waters across the nation. 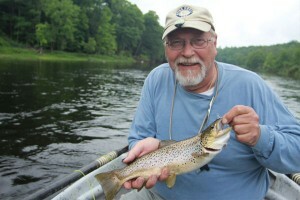 As an avid Great Lakes fly angler he has been fishing trout water in Michigan for over 20-years. His passion for the sport encompasses fly tying, rod building and wealth of fly fishing knowledge inspired by his collection of fly fishing literature and on stream experience. Darin has been chasing trout and steelhead in the Great Lakes region for over 20-years. From the spring creeks of Wisconsin’s driftless region to Michigan’s most productive fisheries, Darin’s passion for trout is only surpassed by his enthusiasm to share that experience with others. As an avid wet-fly fisherman, Darin has been swinging classic wet flies for trout and steelhead for over two decades. He is a skilled tier, friendly teacher and loves rowing a drift boat.